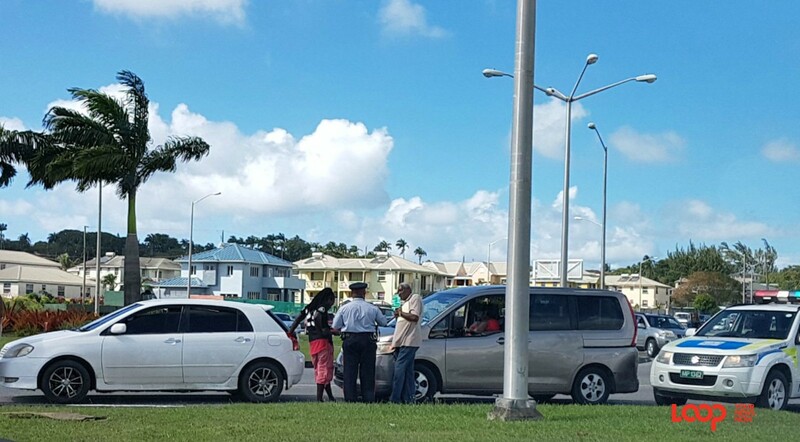 A day after one man took out his phone and recorded what he deemed to be an injustice in St. George where drivers were being penalized for "missing" an overnight road traffic change, the Minister with reposibility for Transport and Works has responded. "The Ministry of Transport, Works and Maintenance (MTWM) asks motorists to note that a traffic change is being piloted at the Glebe, St. George. A mini-roundabout has been placed at the junction of Highway X and the road to St. George Parish Church. A ‘left turn only’ restriction is being enforced for motorists approaching Highway X, the Glebe, St. George, from the St. George Primary School. Motorists intending to turn right, uphill, must instead turn left, towards the mini-roundabout, to make that manoeuvre. This experiment will be conducted from April 3 to May 3." Loop saw that the new measure put into place without advance notice was confusing many drivers. 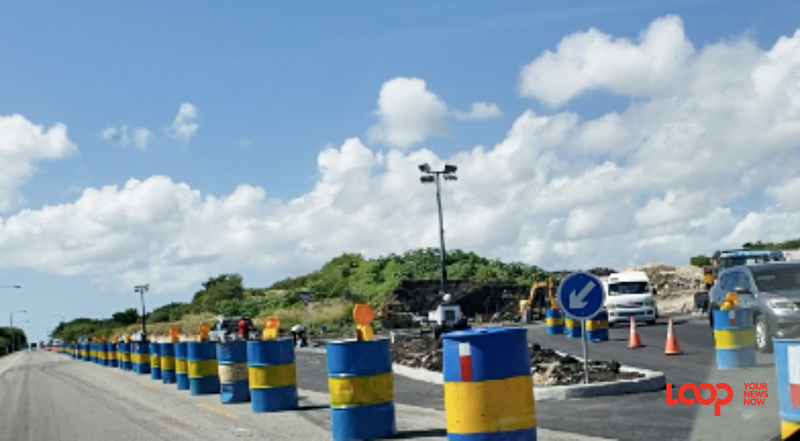 There were looks of shock as people spotted the yellow sticks in triangles and squares replicating a mini-roundabout in a similar fashion to the structure near Combermere School and Stadium Road. Responding to the man's video, yesterday evening in another section of the media, Sergeant Seibert Johnson of the Royal Barbados Police Force Traffic Division admitted that he happened to pass the area on the night of April 3, 2019, and saw the men erecting the 'left turn only' sign, and he too responded to the video that went viral on social media saying, "All persons must adhere. So my advice to persons, drive by what you see and not what you think. You should be alert." The 'turn left only' and 'Stop' signs are in place and the white arrow on the Glebe Land Road from St. George Primary indicates left only, however, Loop did not notice any 'roundabout ahead' signs cautioning drivers coming down from the Glebe nor coming up the hill by the St. George Post Office. On social media, some people thanked the venting driver who was caught unaware by traffic cops yesterday morning, because they too had no clue about the change, while others agreed with the Sergeant that drivers should drive by sight, not memory. Meanwhile, some questioned how flatbed trucks, 18-wheelers and other long vehicles will manoeuvre around the small roundabout safely.